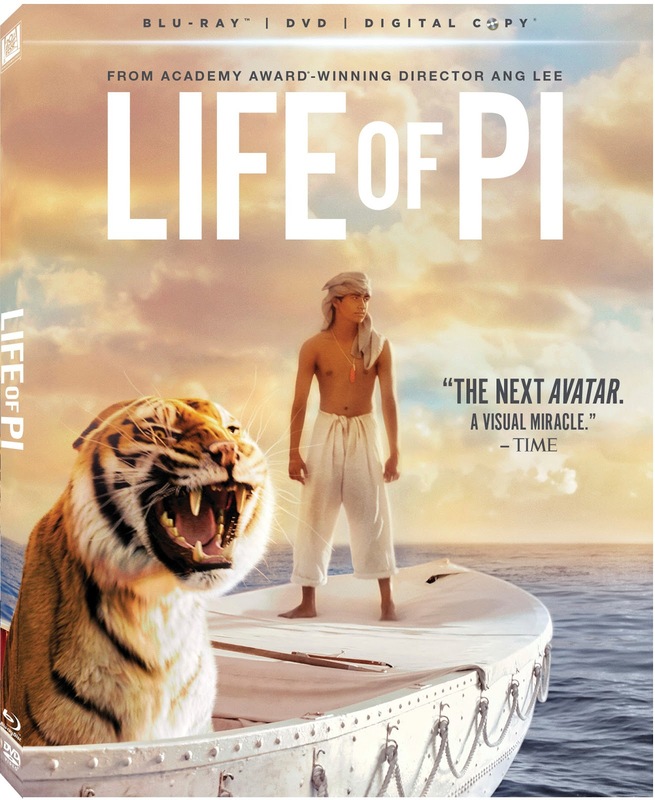 Based on the acclaimed best-selling novel from Yann Martel, Life of Pi follows Pi Patel, a young man on a fateful voyage who, after a spectacular disaster, is marooned on a lifeboat with the only other survivor, a fearsome 450 lb Bengal Tiger named Richard Parker. Hurtled into an epic journey of adventure and discovery Pi and his majestic companion make an amazing and unexpected connection. I was very excited and thrilled when I got a chance to see this movie. I heard so many reviews and not to mention people telling me to read the book before I saw the movie, but when the movie arrived at my front door, I couldn't wait. My husband was thrilled. He had been wanting to watch the movie as well and so a few weeks back we made a date night of it. Instead of watching our normal television shows we turned on Life of Pi instead. Can I just say this movie was incredible?! This was such an amazing movie, especially being seen on blu-ray. Watching this amazing story unfold on screen was like no movie I had ever seen before. The acting was simply extraordinary. I couldn't get enough of how well the acting was. The picture on my screen was beautiful. This is definitely a movie that you would have to see, I can't even imagine what the book must be like, since movies are always a bit different, so I'll definitely be reading Life of Pi as well. Disclosure: All opinions are my own. I received Life of Pi at no cost for the purpose of this review. No other compensation was received.